In recent years, a number of scientific breakthroughs have led to the development of drugs that unleash the power of the immune system to recognize and attack cancer. Studies presented today at the 56th Annual Meeting of the American Society of Hematology (ASH) highlight the enormous potential these novel treatments have for patients with a variety of hematologic disorders. 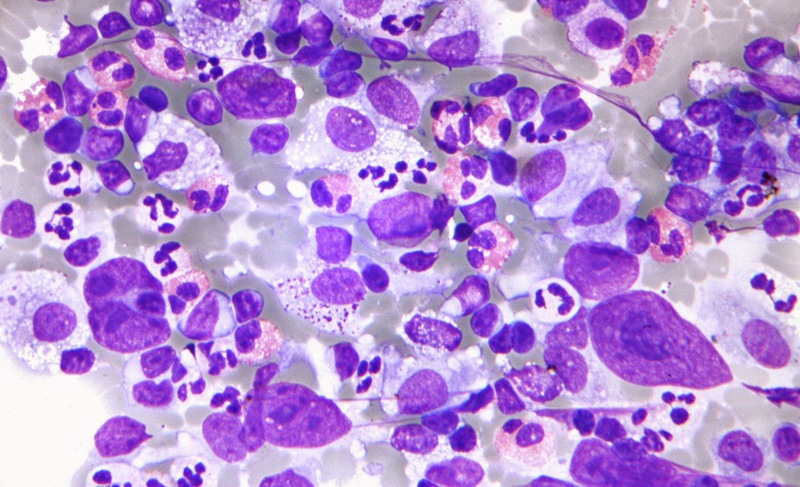 For Classical Hodgkin lymphoma (cHL) patients, two phase I studies are already demonstrating dramatic results. One of these showed that 66 percent of cHL patients had a complete or partial response after receiving the immunotherapy drug pembrolizumab, which has already been approved for patients with advanced melanoma. Pembrolizumab is an inhibitor of PD-1, a protein on the surface of T cells that normally regulates the immune system by stopping T cell activation. Some cancers have developed ways of exploiting this shutdown mechanism by interacting with PD-1, enabling the cancer to escape T cell attack. Pembrolizumab blocks PD-1 from stopping T cell activation, allowing the T cells to keep fighting. The researchers examined pembrolizumab in 29 patients with cHL who had failed to respond to treatment with brentuximab vedotin. Twenty patients had also relapsed after autologous stem cell transplantation. After twelve weeks, six patients (21 percent) achieved a complete response and thirteen patients (45 percent) went into partial remission. No serious adverse events were reported, and only one patient discontinued therapy because of a moderate side effect. A second study presented at the ASH Annual Meeting and simultaneously published in the New England Journal of Medicine showed similarly positive results in cHL patients when using the immunotherapy drug nivolumab, another PD-1 inhibitor. Twenty-three cHL patients who had failed prior treatment - 18 of whom had also relapsed after autologous stem cell transplantation - were given nivolumab. After 24 weeks, four patients (17 percent) achieved a complete response and sixteen patients (70 percent) went into partial remission. Only three serious adverse events were reported. Based on these results, the U.S. Food and Drug Administration granted nivolumab Breakthrough Therapy Designation in relapsed cHL. A large phase II trial of this therapy is underway.